David Brophy, Above & Beyond Award! Thirty-five years ago, Dr. David Brophy saw the need for an event where entrepreneurs could showcase ideas and connect with early-stage investors. The event he founded, the Michigan Growth Capital Symposium, grew into the Midwest’s premier gathering of high-growth companies in new and emerging technologies. 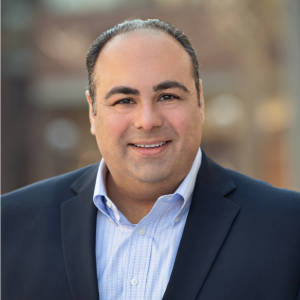 Dr. Brophy, now professor of finance at The Ross School of Business and director of the U-M Center for Venture Capital and Private Equity Finance, continues his legacy of connecting investors and entrepreneurs. 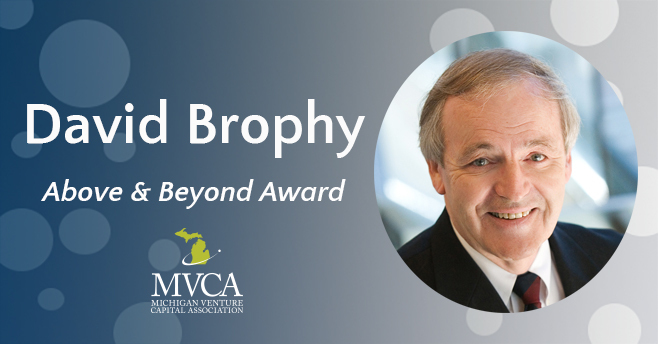 The investment and entrepreneurial community in Michigan has grown thanks to the leadership of Dr. Brophy and honors him with the MVCA Above and Beyond Award. 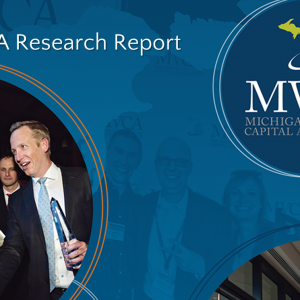 This award is given to individuals or firms that make major contributions to the Michigan venture capital, angel, or entrepreneurial community. Michigan has the 7th highest number of PhDs in science and engineering. For every 100,000 Michigan residents, 13 have PhDs. 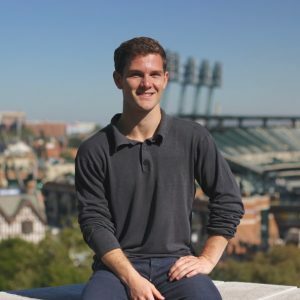 Dr. Brophy has firsthand knowledge that, not only are these PhDs more likely to launch a startup company to commercialize their research, this high proportion of PhDs mean Michigan startups have abundant access to a talent pool that can advise and advance the company’s product or service offering. Dr. Brophy joined the finance faculty of U-M in 1968 and still teaches courses in entrepreneurial finance, corporate valuation, venture capital, and both domestic and international private equity and finance. In his 50-plus year teaching career, Dr. Brophy estimates he has taught more than 15,000 students, many of whom are active members of Michigan’s investor and entrepreneurial community today. Dr. Brophy, could have easily been recognized for his 50-plus year contribution to the venture community as an educator. And in fact, he was presented with the MVCA Lifetime Achievement award in 2009. But his contributions to the industry have gone beyond his career as an educator in the fields of entrepreneurship and private equity to include those of advisor, investor, officer, director, and/or trustee to numerous companies, banks, money market funds, and financial service firms and has written extensively on venture capital and entrepreneurialism. Dr. Brophy holds a Ph.D. from The Ohio State University, an M.B.A. from the University of Detroit, and B.A. from St. Francis Xavier.